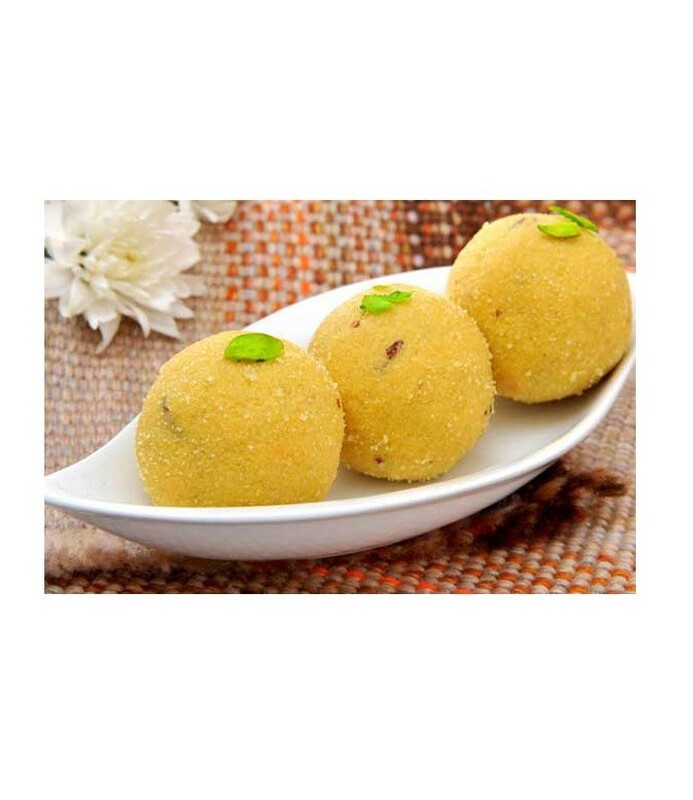 Buy Besan Laddu of Rawat Misthan Bhandar from Jaipur online | Authentic Indian Sweet , Savories and Delicacies from the place they originate by Moipot. Let’s not judge the power of this laddu by Rawat Misthan Bhandar by taking it to be just another basic sweet. Just one bite of this delectable sweet and it will spike up your taste buds with its sweet pungent and endearing flavour. Who can say no to this classic laddu?